Keep on Rowland: Tigger or Eeyore? I recently ran across an article/quiz that really struck me. The title of the article was, "Are you a Tigger or an Eeyore?" Being the avid Winnie the Pooh fan that I am, I was immediately interested to read on. This article outlines the two basic types of people in our lives: Tiggers and Eeyores. 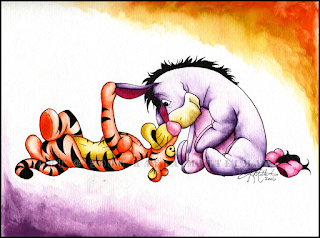 Tiggers are those people in your life that really lift you up. They are upbeat and exciting to be around. Their mood and attitude encourages you to be more positive and uplifting yourself. Eeyores are those "debbie downer" friends you have. The people who are always acknowledging the negative side to things. "Oh you got a brand new car? Well, that means your insurance is going to go up." "Oh, you got a promotion at work? That means you are going to have to work more hours and be more stressed." Boooo hoooo hooo. We all hate those Eeyores in our lives and we all know it. The real question here, though, is "Which one are you???" This really got me to thinking which one of these categories that I fall into. The answer was not quite as simple as I thought. Personally, I fall into both categories. 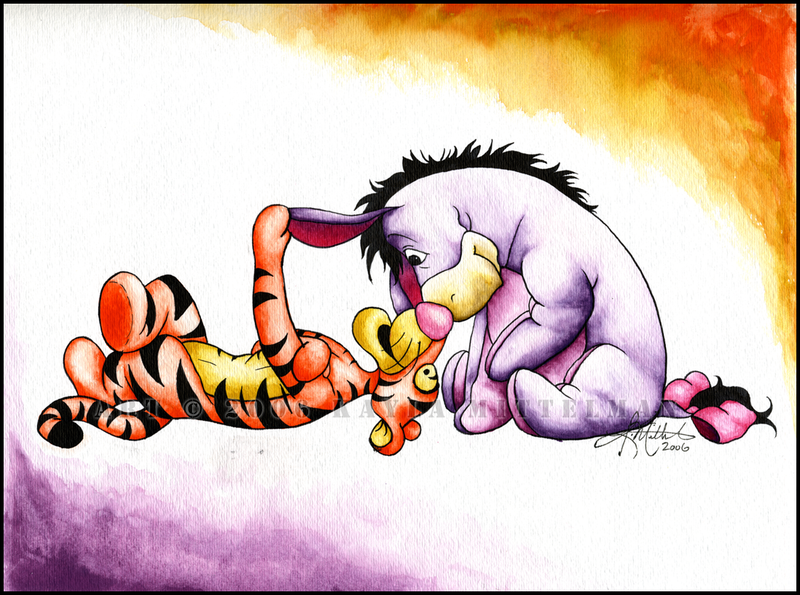 I can be an exciting fun-loving Tigger, but I can also being a hateful Eeyore as well. Sometimes life circumstances can make me be more like an Eeyore. I'm really busy at work and being pulled into a million directions : Eeyore. I come home and Abe is throwing up everywhere and I have to clean it up: Eeyore. Guess what? That's life. That's normality. Instead of taking a negative approach on it and letting it ruin your day and turn you into an Eeyore, you have to learn to take it in stride and be your Tigger self anyways. <------that sentence sounded like something from a "Highlights" magazine from childhood. Fo realz, yo. The point of this rambling post is for us all to be more aware of our moods. I want to be more of a Tigger- spreading excitement and good cheer to all. <----also came from "Highlights." I was trying to find a verse in the Bible that encouraged us to spread good cheer. My search yielded a whole smorgasbord of verses with this in them. This is convincing enough that I need to be of good cheer and spread a little around.